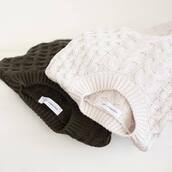 Elizabeth Hurley and January Jones know that a crisp white sweater looks glorious when worn with skinny jeans or a preppy skirt, for a day look that is chic and casual. Versatile and girly, we can wear ours when we want to dress up or down, depending on whether we are wearing sneakers, flats or heels, a cute backpack or a stylish tote. 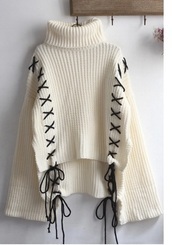 We can wear a white sweater with a flared skirt or leggings and knee height boots for the ultimate hipster girl look. For more ideas on how to look pretty or classically elegant, Tumblr is an excellent resource site.